As marketers, we can become so immersed in the constant production and running of campaigns, we end up devoting too little or no time to improving our process. It’s easy with the pressure of tight deadlines and the desperation to please clients to prioritize quantity over quality. We end up stuck in our ways, producing humdrum campaigns that barely maintain success. So how do you get out of this rut and start building strong standout campaigns? Taking a look at a few of the main characteristics successful campaigns have in common can help get you back on track. Are You Making the Prospect the Hero? How many ads have you seen that focus so much on how the company is the best or the product is amazing? The ad mind as well be saying, “Me, me, me.” Think of it from your perspective. Would you be drawn to something you can’t personally relate to? Make the prospect the hero. Make them the center of what you’re offering. How can your product better their life? What can your company do for them? A great way to show this is by making people the focus of your advertising. For example, instead of creating ads that highlight a skid steer or a truck, create a video ad of a professional using the product. A prospect can relate to seeing the product being used by a fellow professional in the same line of business. Make the prospect the hero in your messaging and content also. Highlight the prospect’s need or pain point and allude to how you can satisfy that need and ease that pain point. Personalization can also play a very strong part here. Using smart content and smart CTAs throughout the campaign and on your landing pages provides a personal touch that ensures a prospect you see them as an individual. Focusing the elements of your campaign on who you’re trying to reach and their needs sets prospects up as the hero of your campaigns, and thereby gains their attention. 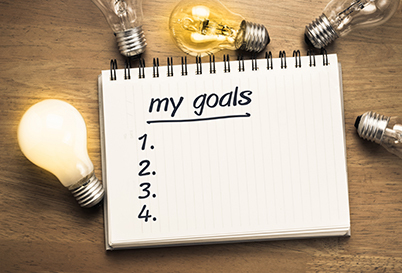 Are Your Goals Clearly Defined? There’s barely a point to having goals if you have no way to tell you’re hitting them. Aligning the right metrics to your goals defines whether or not your campaign is successful. For example, if your goal is brand awareness, knowing how many people are clicking on your ads is a good way to measure how often you’re being seen. For lead generation, measuring the number of leads you get from the campaign in comparison to the number of leads you were aiming for gives you insight into how well your campaign’s doing. You can also use metrics to learn why you’re missing your goals. Let’s say you find that people interact with elements of your campaign but don’t convert in the end. Where are you losing them? Are they not clicking on your ad? You can measure click-through-rate (Clicks / Impressions x 100) to find out as a percentage how often people click on your ad when they see it. Or measure your conversion to rate to learn how often an ad leads to a conversion. Defining your goals and aligning them with the right metrics gives your campaign a clear purpose and a measurable outcome. The first step here is to define who you want to reach. Saying your message is being seen by countless people is nothing to boast of if those people aren’t relevant to your campaign. So who are you trying to reach? It’s important to zero in on your exact audience as much as possible. For instance, if you want to reach drivers, what type of drivers? Owner-operators or company drivers? And what type of freight will they need to transport? Also, you can learn a lot about your audience by doing research on them through surveys or analyzing your current customer base to learn what they have in common. You can segment this audience by location, device, keywords, content, etc. Clearly defining who you want to reach, saves time and money. It also ensures you’re solely targeting people in your prospect pool. You want to know what you offer is being presented to the people most likely to use it. Is Your Messaging Relevant to the People You Want to Reach? With the average person seeing hundreds if not thousands of ads a day, the possibility of your ads being overlooked is very likely. Unless you provide something that makes you stand out to the individuals who see your ads. First step, make sure you’re reaching the right people. If you’re presenting your message to people in need of what you offer, then you’re more likely to gain their attention. Next step, provide relevance. Defining the exact type of prospect you want to reach gives you insight into what messaging will be relevant to them. This presents a need to learn who your audience is. Use your messaging to cater to your audiences specific needs, interests, desires, etc. More isn’t always better. Advertising on every channel you can get your ads on is not the wisest choice. It’s important to find out what works best for your audience and your goal. Where can your audience be found? On which channels? Is your audience on social media? Then you need to be advertising on social media. Be present where your audience is present. As for your goals, you have to consider what channels are built to bring you to your specific goal. Let’s say you’re looking to hire drivers by way of phone leads. Using call extensions for search campaigns gives you a direct connection to prospects. When it comes to choosing the right channels, know that it’s important to treat every campaign as unique to the specific audience you are trying to reach and the goal you wish to accomplish. It’s easy to get lost in the grind of producing campaign after campaign. But stopping to make sure your campaigns align with the characteristics of a successful campaign is the key to revitalizing your marketing campaigns every now and again.